Frozen Central Park in New York - trips to the city are back. Gaudi's Park Guell, Barcelona, Spain. Christmas at The Dylan, Dublin. Fancy skipping Christmas at home? Pól Ó Conghaile rounds up the options - from warm sun to winter wonderlands. Christmas hotel breaks have been selling like hotcakes this year, but Dublin's Dylan Hotel still has availability over the Christmas period. 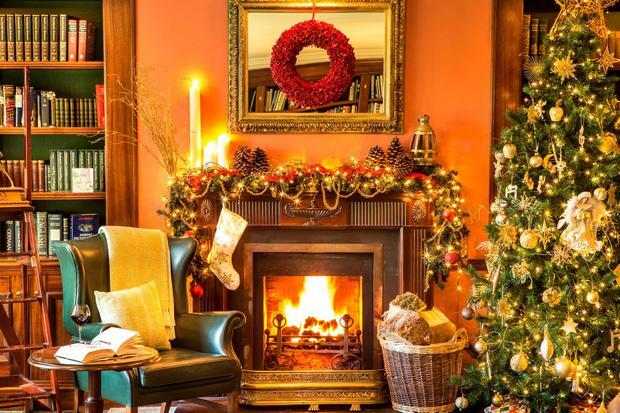 Prices start from €249pp per night, and include a mulled wine reception, classic Christmas movies on the terrace, and a Christmas dinner created by executive head chef, Mark Bodie. Check out the Dylan’s 12 Cocktails of Christmas menu while you're there (try the Two Turtle Doves, a mix of Jameson, Baileys, Frangelico fresh cream, chocolate and mint bitters). You'll be all set for the Christmas sales or Leopardstown Races. Fancy a white Christmas? You'll get that - and more - on a ski holiday. Crystal Ski has seven nights at the 3-star Planibel Apartments in La Thuile, Italy from €299pp, on a self-catering basis, departing December 20. Seven nights at the duty-free resort of Livigno are available from €419pp. Prices include transfers, but not ski hire and lift passes. Prices in the Canary Islands have jumped since the terrorist attacks in Tunisia and Egypt (both traditional winter sun destinations), but GoHop.ie has an 8-night package in Fuerteventura from €358pp. The price includes flights and self-catering accommodation at the 3-star Broncemar Beach, departing December 18. Some of the best prices available over Christmas week are in the Algarve. ClickAndGo.com has flights plus seven nights at the 4-star Rocha Brava Apartments in Carvoeiro from €389pp, departing December 20. The five-star Real Marina Hotel & Spa in Olhao is available from €499pp on the same date. Morocco is one of the best value winter sun destinations this year - consistently cheaper than the Canaries - and Sunway has two-star packages from €439pp. Departing December 19, accommodation is at the Tilila Studio Apartments in Agadir, where you can expect temperatures of around 14-degrees. A two-star holiday in Lanzarote, departing on the same date, is priced from €649pp, with the five-star Princesa Yaiza Resort available over Christmas from €1,329pp. Fancy Christmas surrounded by beaches, Gothic architecture and tasty tapas? 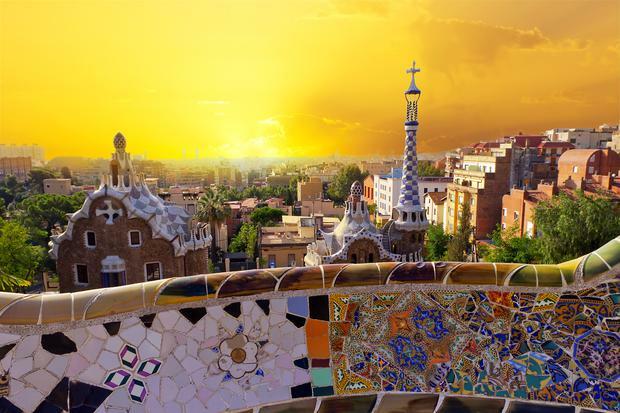 Travel Department has a seven-night package to Barcelona's Costa Brava, including accommodation at the 4-star Hotel Les Palmeres in Calella, from €799pp. The price is on a half-board basis, departing Dublin on December 21. Two guided excursions in Barca are included, with a further day spent discovering Montserrat and sampling the best sparkling wine in Spain. Christmas lunch is in there, too! The Big Apple is magical at Christmas, from the window shopping in Midtown to the ice-skating and horse-and-carriage rides in Central Park. Sunway has flights plus four nights at the 4-star Wyndham New Yorker Hotel from €949pp departing on December 23, based on two sharing. Don't forget to watch Elf before you go! Ensconced in the Kingdom, overlooking Sheen Falls and the snow-capped Kerry Mountains... there are worse places to spend a five-star Christmas. Sheen Falls Lodge has two-night packages from €840pp, including champagne breakfasts, slap-up meals and entertainment (kids go for just €75pp per night, too). The real savings come later, however, with a “3 for 2” Twixmas getaway offering two nights and two dinners from €395pp, starting on December 27th or 28th only. Highlife is an Irish company specialising in chalet ski and snowboard holidays in France, and its December 20 departures start from €1,120 for adults and €910 for kids. The prices don't include flights, but do include cosy Alpine chalets, hot tubs, saunas and a personal chef to cook meals (and mince pies). Chalets are available in Morzine, Meribel or Val d’Isère, and you get your own Christmas tree too. Tour America has an eight-night fly/cruise including return flights to Dubai from €1,399pp. The trip departs on December 21, with seven nights on Royal Caribbean's Splendour of the Seas and one night in the Emirate included. The price includes all meals and entertainment on board, with visits to Oman and Abu Dhabi. NB: All prices subject to availability/change.